Perfect for companies looking to develop their employees' management and leadership capabilities. It can benefit small and mid-sized companies as well as teams within large organizations. 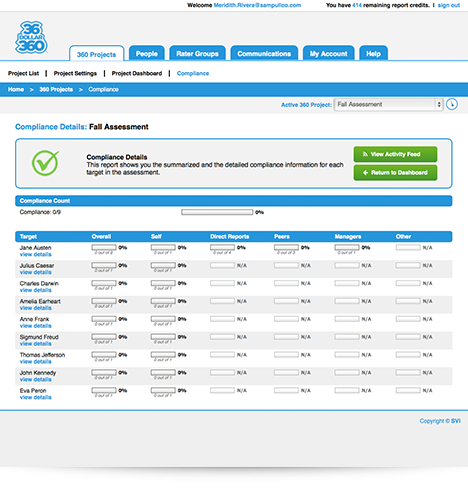 Introducing the industry's lowest-priced, easiest-to-use, most broadly deployable 360 degree assessment. 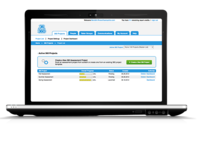 The 36 Dollar 360 offers fully customizable competencies and on-demand downloading of results reports, for as little as $36 per report. 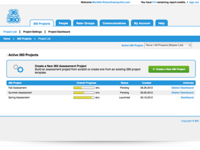 The web-based administrative dashboard makes customizing and launching 360 degree assessments a breeze and relieves the pain of cost-prohibitive deployments, inefficient feedback collection and laborious reports preparation. 36 Dollar 360 Reviews Recently Reviewed! Pros: That it's so user friendly. From the first time I used it, it's intuitive and I had very few problems. And because of that, it's easy to show my co-workers how to use it when needed. Cons: That you can't have multiple custom 360 reviews going on at the same time. We like to customize the cover pages with our clients' logos, but oftentimes, we have 360 reviews going on for more than one client at the same time. This has caused us to have 4 logins. This can be inconvenient when we have credits on one login that need to be transferred. Although, when I call to have them transferred, the support is always outstanding. We've not been customizing as much lately because of this. We also have an issue with the rater group names. Oftentimes, Peers, Direct Reports and Others don't match up to what our clients have. So we have to use the platform's rater group names but then have to let the clients know the equivalents. We would very much like to be able to control the rater group names. Overall: I have no complaints other than what I described above. If these two issues were changed, I think it would be perfect. The platform is very intuitive, user-friendly and the support is outstanding. I would gladly recommend it. 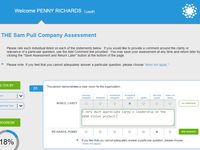 Pros: Having a bank of questions to choose from and being able to customize certain questions to meet the needs of my organization were very helpful. The dashboard is easy to use/navigate. In addition, having a dedicated account person to ask questions was really critical in successfully implementing 360 feedback reports for my organization. Cons: The email templates can be a little more robust but it gets the job done. Overall: The reports were concise and easy to read. As the project owner, it was really helpful to see the data pullout of all the participants and look through the different trends. I would highly recommend this product and this is our 2nd year using 36 Dollar 360. I found 36 Dollar 360 a very reliable, helpful and easy to use product. Comments: I would recommend it to anyone. Pros: 36 Dollar 360 really helped us implement the 360 assessment process within our organization at the pace and volume that we needed. 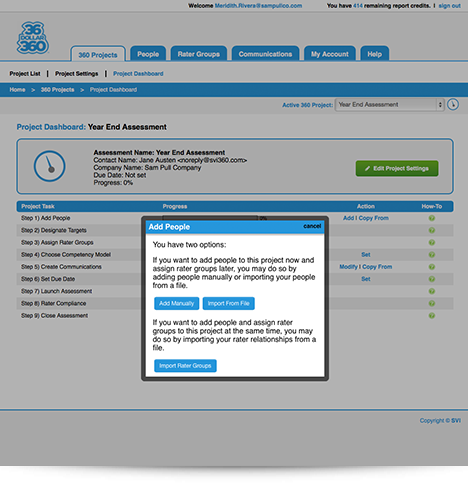 After an hour of being in the tool, I was able to quickly learn how to set up a project, edit that project, and then launch the assessment. The tool really is so easy to use! Cons: I really wish that we could see some of the data as raters complete the assessment, rather than having to see the final results after the close of the assessment. 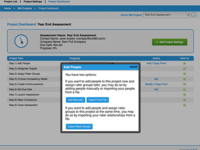 Other than that, this tool is a very comprehensive and solid option for any organization. Overall: Leadership and organizational development are just starting to take shape at our organization, and 36 Dollar 360 helped us move that needle forward in relation to our leadership culture. We are becoming more comfortable with courageous feedback, both giving and receiving, and are also better equipped at identifying development trends across various leadership competencies for the entire company. We are very happy with this software! 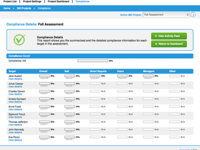 Pros: This tool has been incredibly easy to use, intuitive, and has met the needs of our managers very well. Cons: The only cons that I can think of are the lack of benchmarking data and action planning suggestions in the report. Pros: I like the ratings features which help us keep track of people's growth. This has helped us grow our team and make sure everyone is on track for success! Cons: It is affordable but we would still like it to be cheaper! Other than that, I can't think of many cons. Very solid system. Pros: The functions of 36 Dollar 360 has full functionality. It is a little technical when you first start but customer support is very knowledgeable and went the extra mile to walk me through all the functions. Cons: A little technical and confusing at first, but customer support was very helpful and once I was shown how to navigate the system it was easier to understand and use. Pros: The software was easy to use, the company had easily accessible technicians to help troubleshoot. The questions were clear and easy for the reviewer to navigate the review. A Super Easy and Reliable Tool! Comments: I've used a variety of 360 assessments over the years. The Pros: The 36 Dollar 360 is really easy to use and their customer service is impeccable. When I have a question they're accessible and knowledgeable about my question. I find their system user friendly and intuitive as I navigate through the various stages of set-up. And, they listen when I have ideas to share to make their system even better. The only Cons I have are around the lack of bench-marking data and action planning suggestions in the report. However, for the money spent, the value is unmatched! Pros: Love that I can customize many features; title page with my own company logo and question contents. Cons: It takes take a work around to copy and paste a new profile. Overall: Great team. Prompt service! Love them! Pros: User-friendly and easy to use. The results we receive are intuitive and provide outstanding feedback to provide our associate. Pros: The backend administration and tracking. Cons: I think the Likert Scale needs to be greater than 5. Overall: An easy way to conduct 360s and efficiently collect both quantitative and qualitative data. Comments: I've been a customer of 36 Dollar 360 since 2012. Over the course of the past few years I've regularly utilized the product, as well as other SVI products, in a variety of ways; as our company has grown, the ways we've used these tools has evolved as well. With all of that change came a lot of questions. The team at SVI has always been exceedingly helpful, courteous, and knowledgable. The customer service provided by SVI is a true asset. 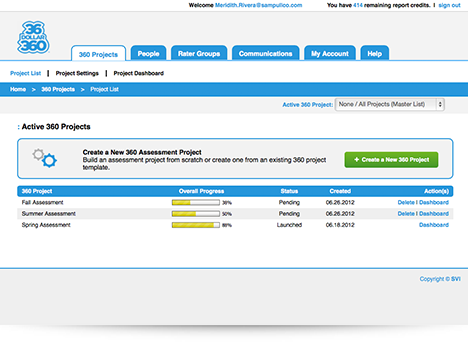 Comments: 36 Dollar 360 is a great solution for any company seeking to better their team members. 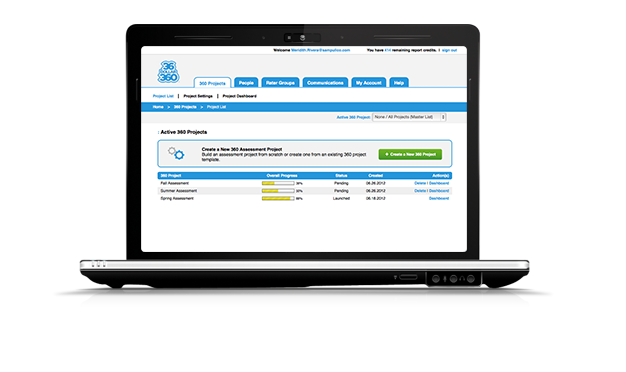 Our company researched a variety of 360 review software solutions before choosing 36 Dollar 360. The software is very easy to use from both the administrator and raters stand point. The software is competitively priced and the customer service is excellent. I would highly recommend 36 Dollar 360 to anyone looking for a 360 review solution. It's easy to operate, it's affordable and has great features, free and without exiration sercies. Pros: It could me use by any kind of company, big or small. So the nature of the company it's not important, this means that the software perfectly adapts to teh different kinds of requests that any kind of business could have in the matter of survays. Cons: It takes a while to learn how to use it, had to read de Q&A section frequently even when they acclaim it's a very "easy to use dashboard". Overall: It's a quick way to make survays and the presentation it's friendly with the users, this is important to get real and honest anwers. 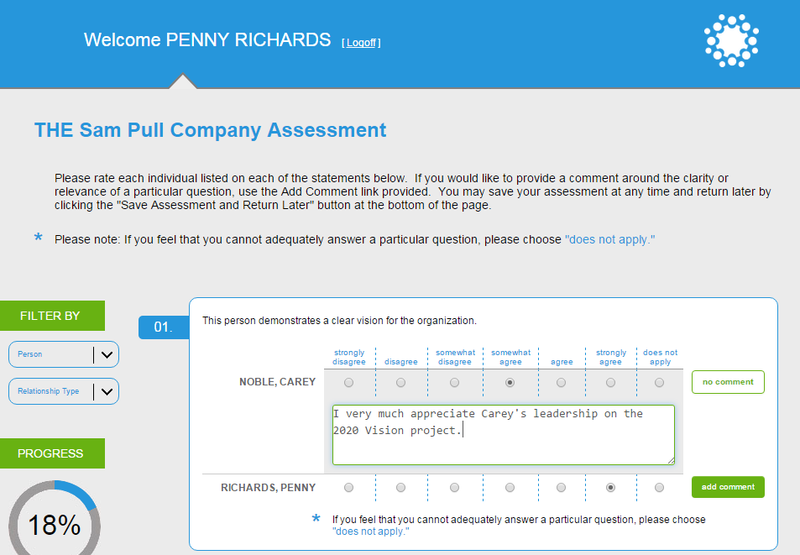 Comments: This tool has been very easy to use, intuitive, and has met the needs of our managers very well. I like the variety of competency models to choose from for various levels in the organization. The expert feedback is also a helpful for more experienced managers. Great product, used it and will use it again. Comments: We are a company of ten employees, we used it and it was amazing, its easy to set up and to the point. Also, the support and service were very helpful. I recommend this product to companies of any size. Pros: Very interesting and user friendly platform. It sets a good working moral and gets the user up and going. Cons: Very fluid, intuitive, and on-point that it does necessarily consist of flaws. I do; however, recommend a little more emphasis on company morals.